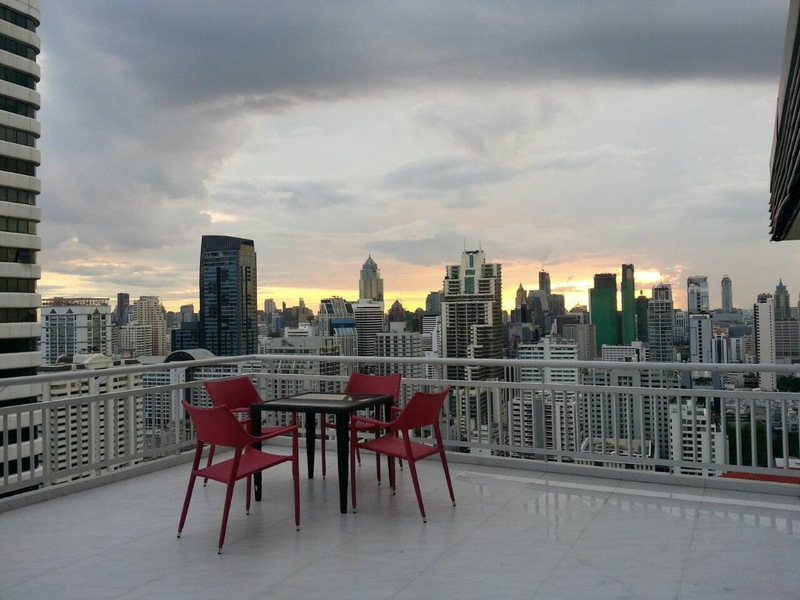 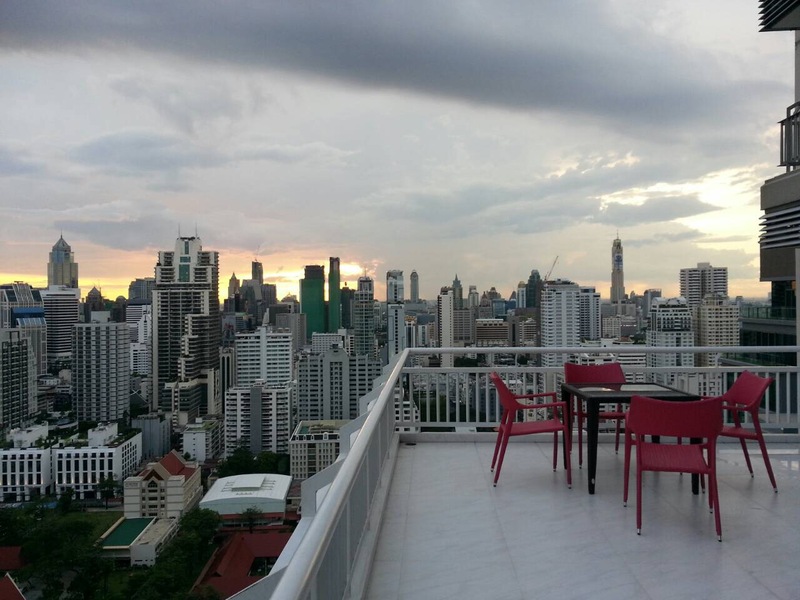 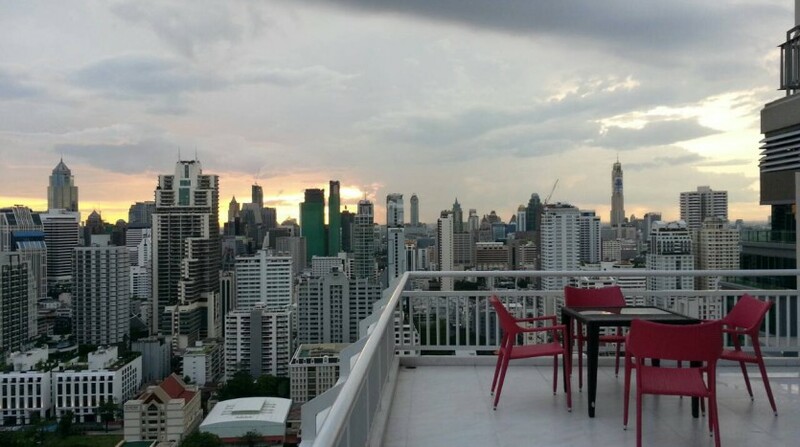 This two bedroom condo is available for rent in Asoke, the unit comes with a spacious terrace that comes fully furnished with stunning views of the city. 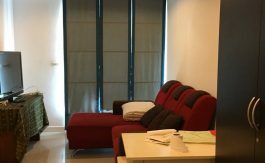 The unit is a well designed spacious condo spreading over 100 SQM and contains a large kitchen, fully furnished living area with Sofa, dining table and TV, two large double bedrooms each with en-suite. 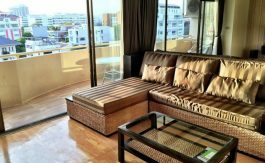 The living room leads out to the highlight of the unit which is an extra large balcony that can be used for out door dining. 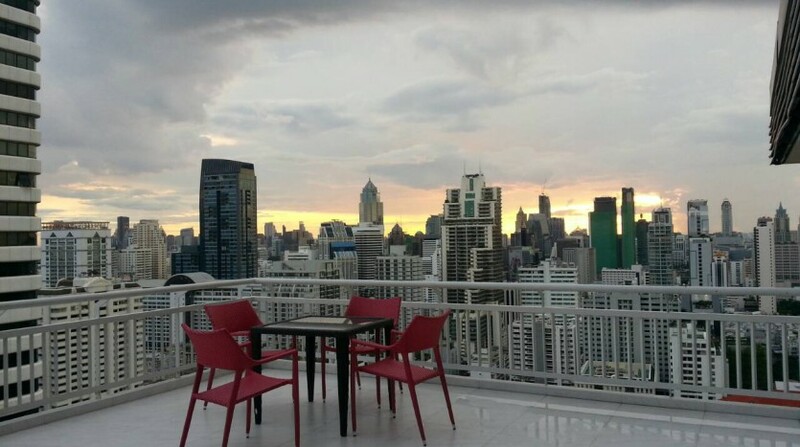 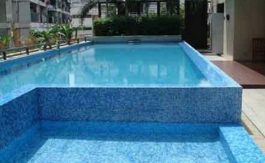 The development is located in the heart of Asoke on Sukhumvit 21 and holds a swimming pool, fitness room and 24 hour security with parking. 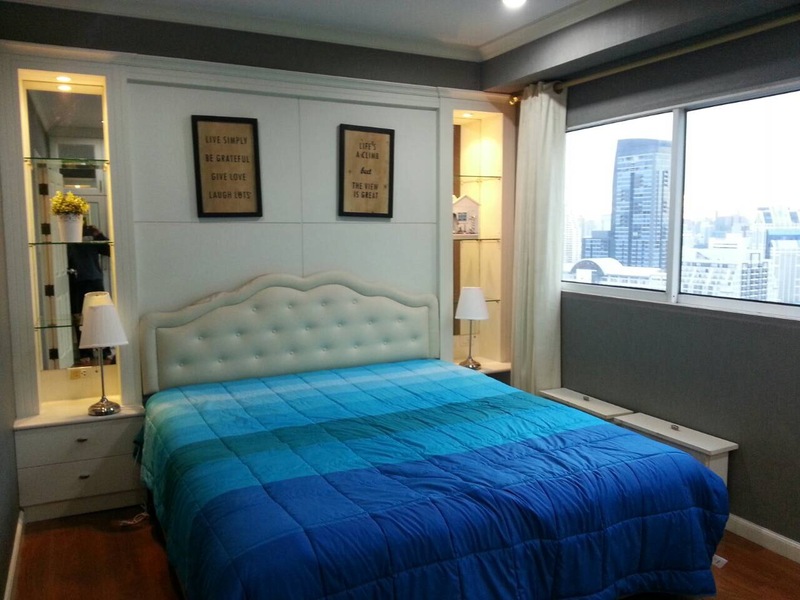 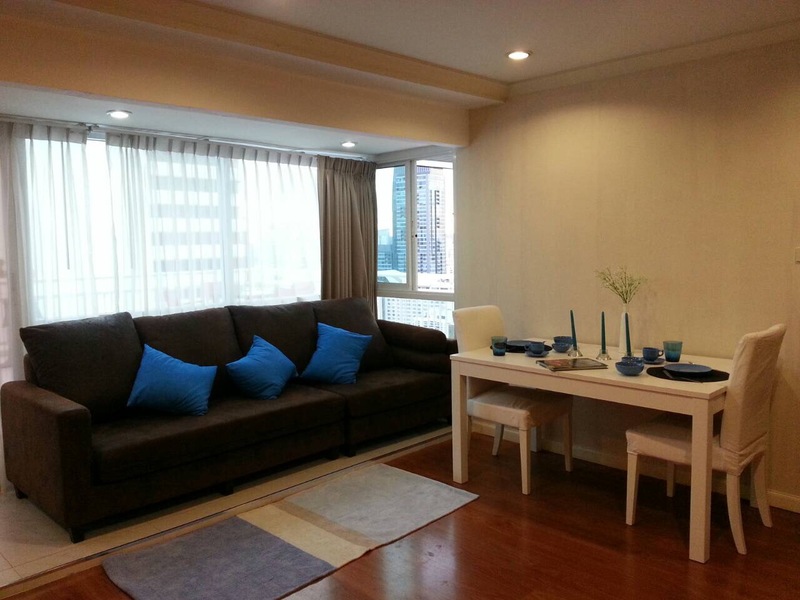 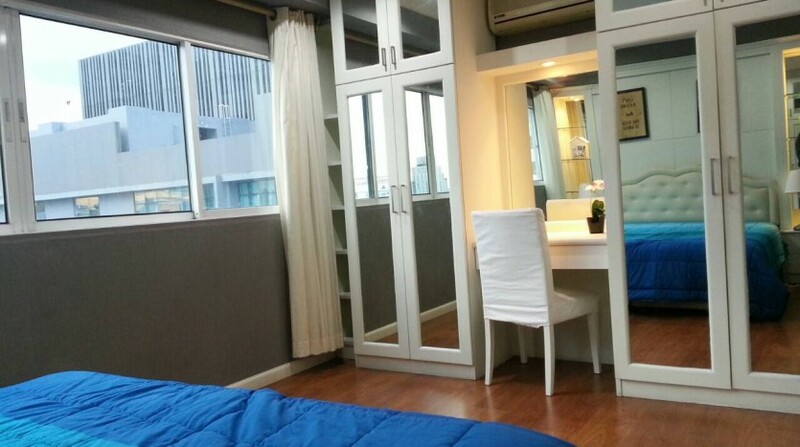 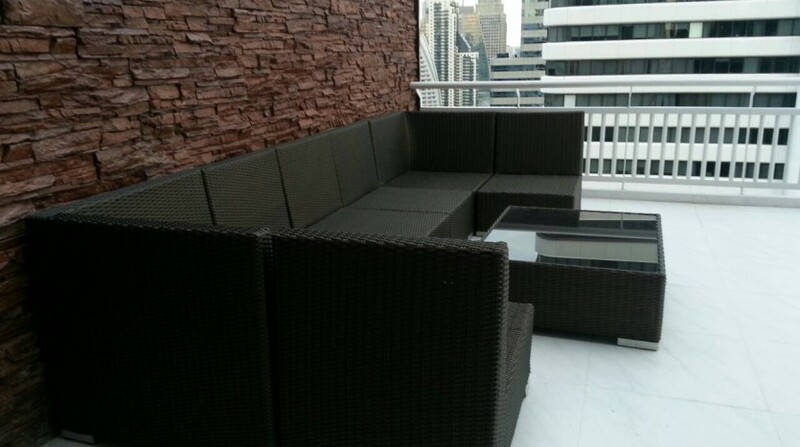 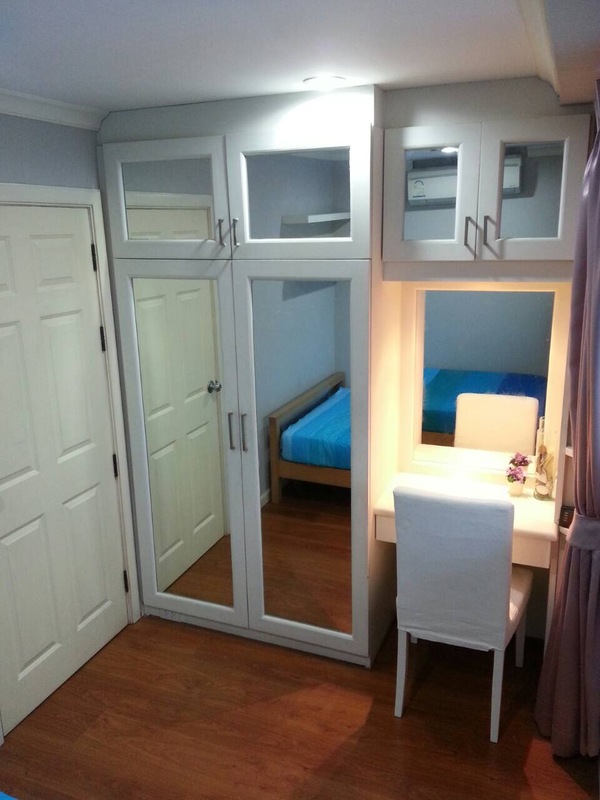 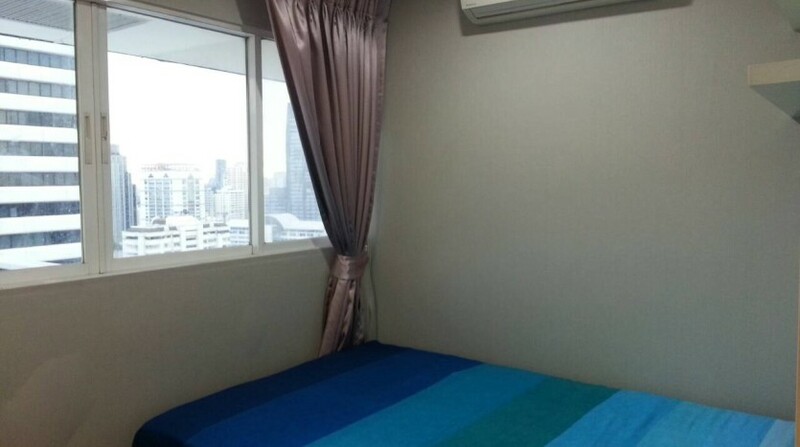 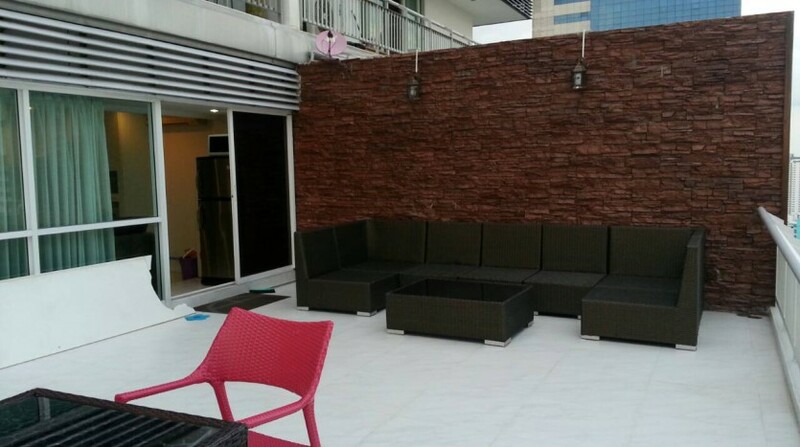 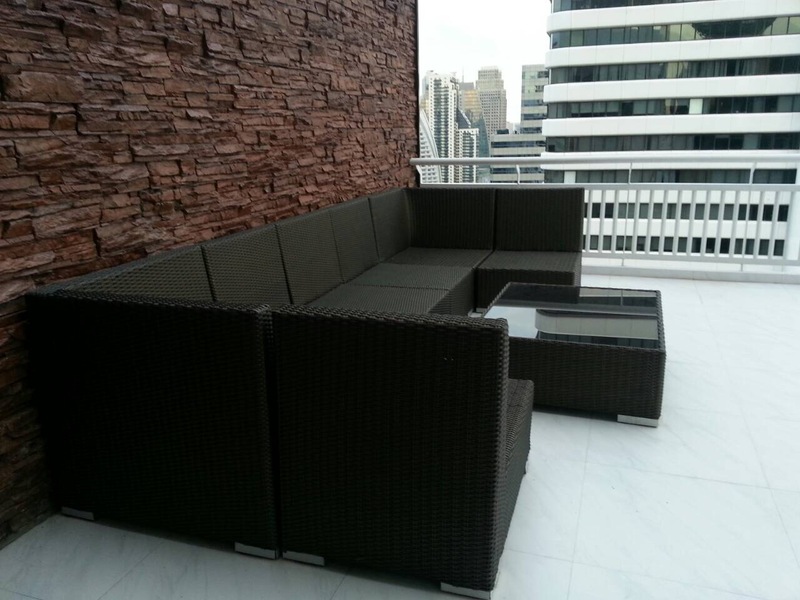 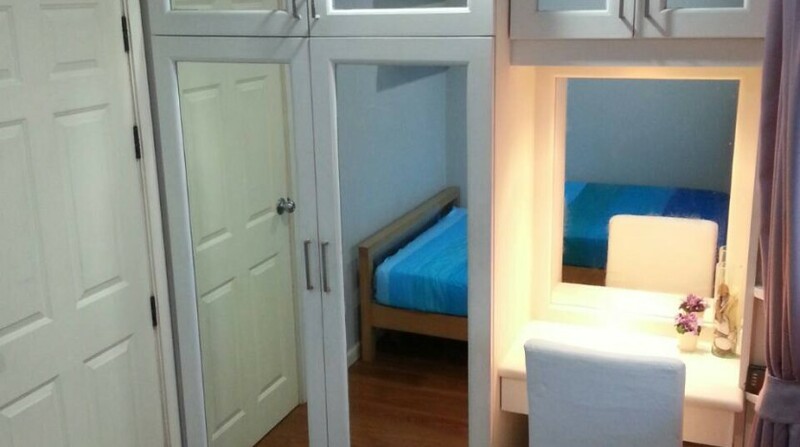 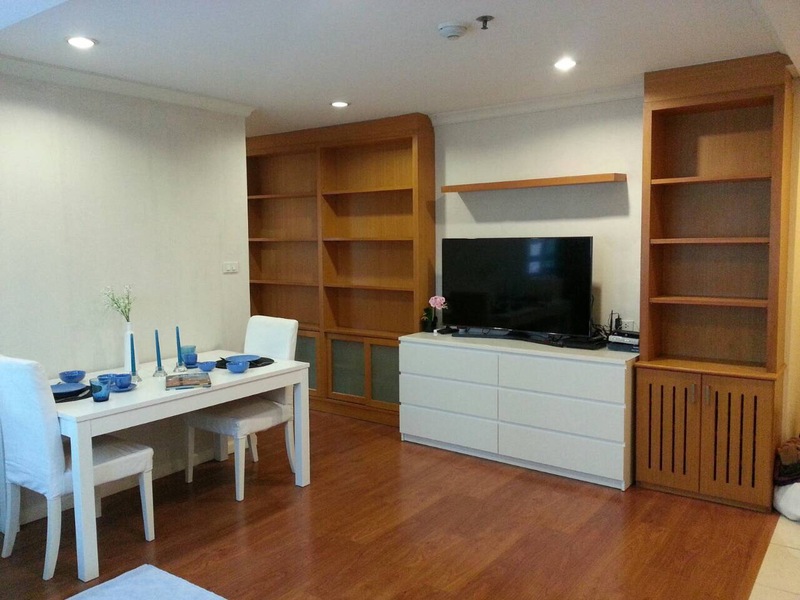 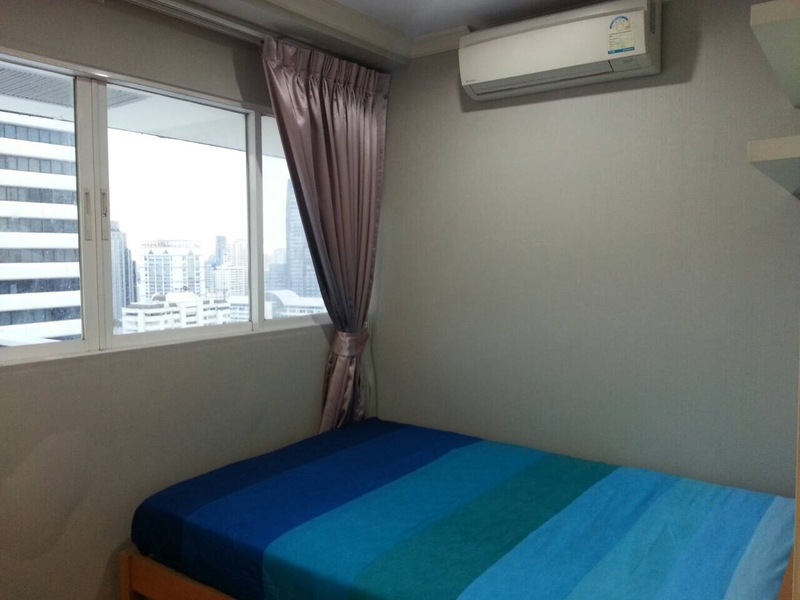 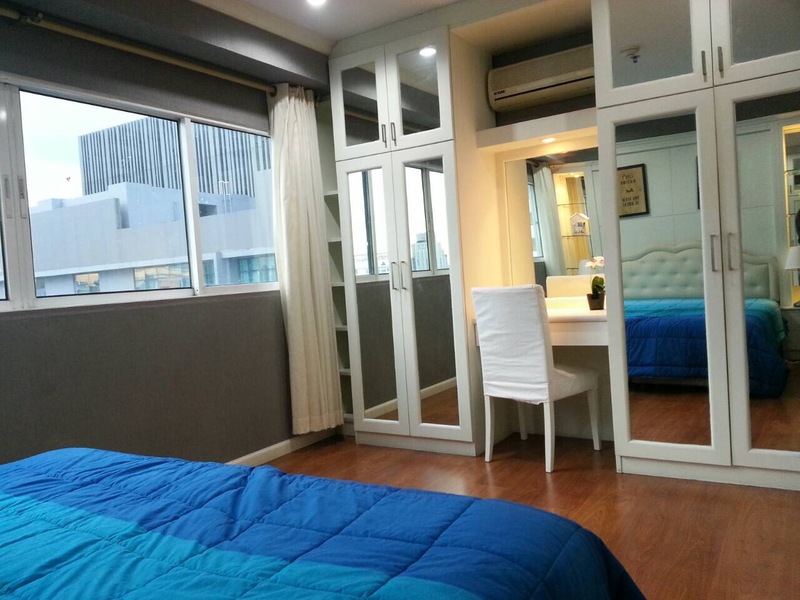 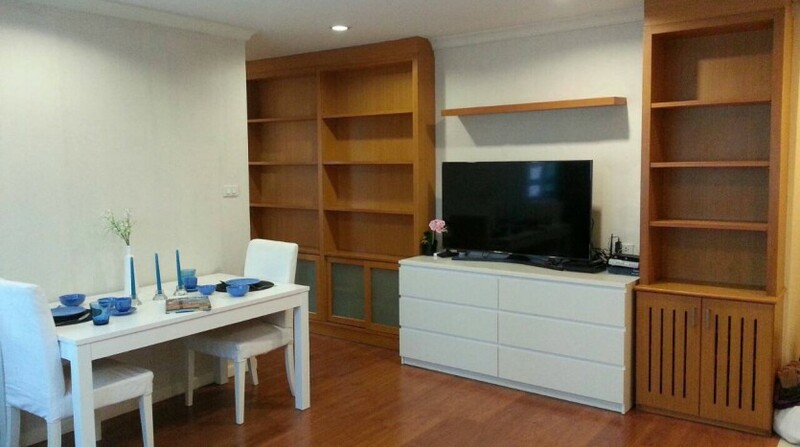 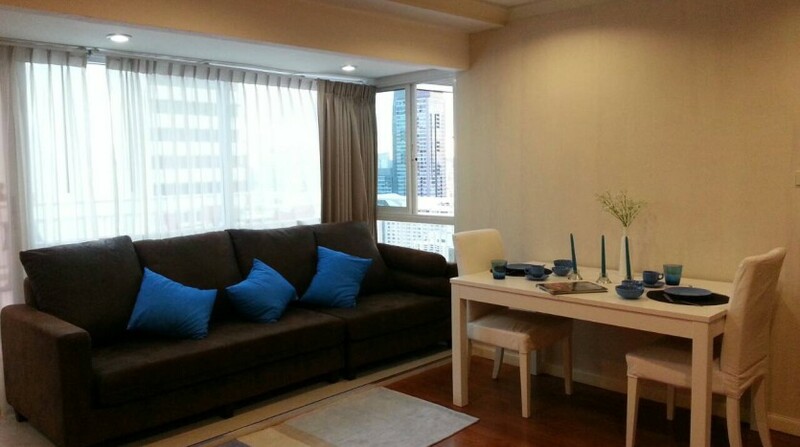 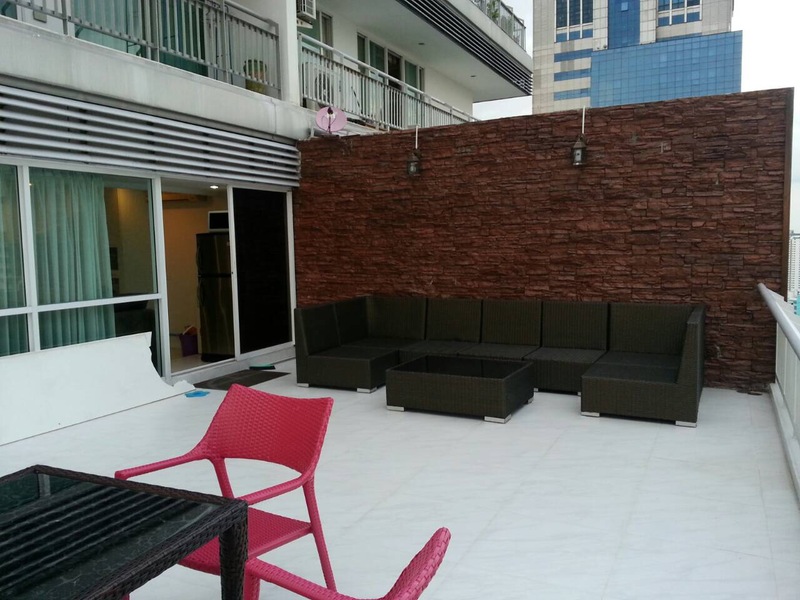 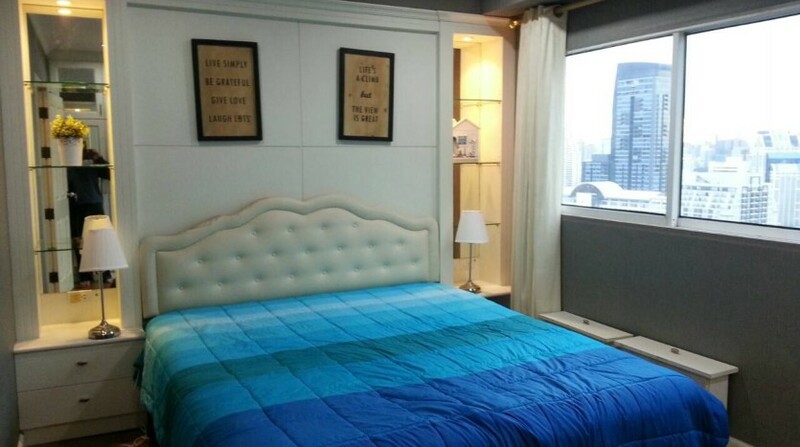 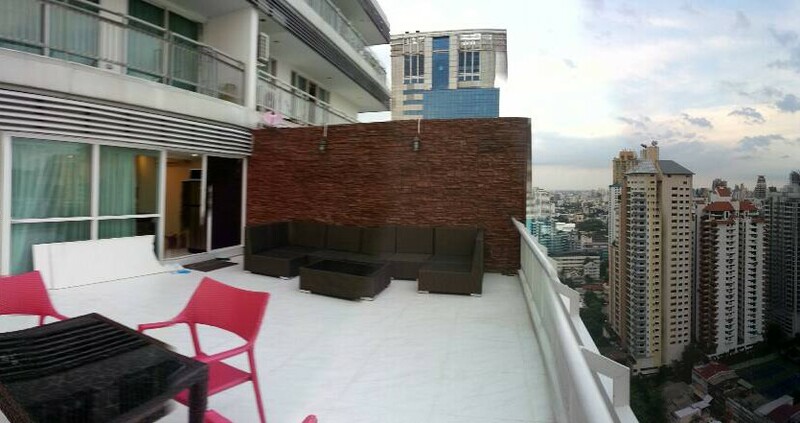 Only a short distance from Asoke BTS/MRT this unit is ideal for a small family or sharers.